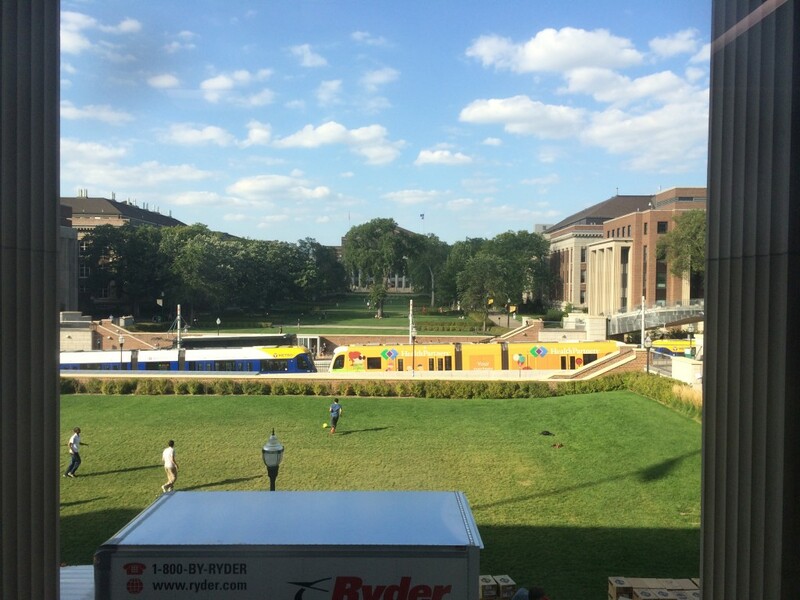 A photo taken from the second floor of Coffman Union on September 26, 2014. 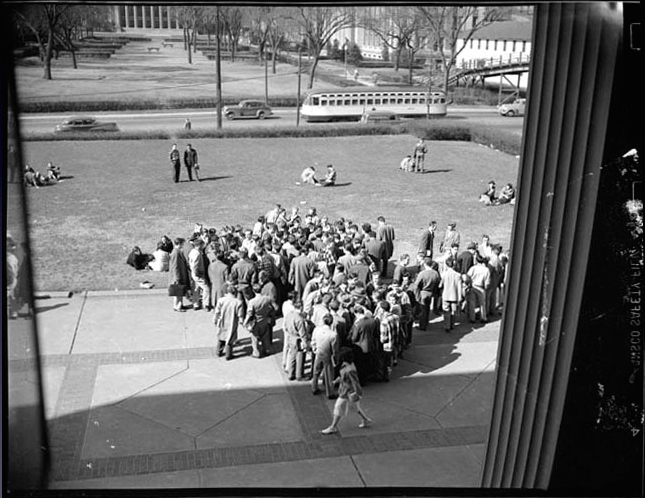 These images show very little change on the main Mall of the University of Minnesota campus. Coffman still looks down at Northrup in the distance. There is a tree in the middle, so the landscape is slightly less formal. Some new buildings have been built at the edge of the Mall and Washington. Washington is deeper entrenched. But lots of more important changes have occurred. After about 60 years without rail transit on Washington Avenue, it came back in 2014. Private cars no longer drive on Washington – which is now a mall. The wooden bridges across Washington are now metallic. Sheltered bus stops grace Washington. But the unseen scene shows lots of changes. Students dress more casually. The ethnic composition of students is very different. I am taking a picture with a camera in a mobile telephone, which every person in this scene probably has. The truck in the foreground is due to the bookstore sidewalk sale. The transit is publicly owned. There are “Health Partners” which manage your health instead of private doctors. The world is now in color.